To: (1) explore how multi-level factors impact the longitudinal prevalence of depression and alcohol misuse among urban older adults (≥ 65 years), and (2) simulate the impact of alcohol taxation policies and targeted interventions that increase social connectedness among excessive drinkers, socially isolated and depressed older adults; both alone and in combination. An agent-based model was developed to explore the temporal co-evolution of depression and alcohol misuse prevalence among older adults nested in a spatial network. The model was based on Los Angeles and calibrated longitudinally using data from the Multi-Ethnic Study of Atherosclerosis. 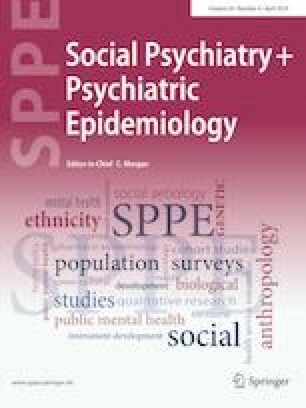 Interventions with a social component targeting depressed and socially isolated older adults appeared more effective in curbing depression prevalence than those focused on excessive drinkers. Targeting had similar impacts on alcohol misuse, though the effects were marginal compared to those on depression. Alcohol taxation alone had little impact on either depression or alcohol misuse trajectories. Interventions that improve social connectedness may reduce the prevalence of depression among older adults. Targeting considerations could play an important role in determining the success of such efforts. The online version of this article ( https://doi.org/10.1007/s00127-019-01701-1) contains supplementary material, which is available to authorized users. Research for and preparation of this manuscript was supported by the European Union Horizon 2020 Framework Programme [Grant Number 667661] (Promoting mental wellbeing in the ageing population—MINDMAP). The study does not necessarily reflect the Commission’s views and in no way anticipates the Commission’s future policy in this area. The MESA study was also supported by the National Heart, Lung, and Blood Institute (Contracts HHSN268201500003I, N01-HC-95159, N01-HC-95160, N01-HC-95161, N01-HC-95162, N01-HC-95163, N01-HC-95164, N01-HC-95165, N01-HC-95166, N01-HC-95167, N01-HC-95168 and N01-HC-95169), the National Center for Advancing Translational Sciences (Grants UL1-TR-000040, UL1-TR-001079, and UL1-TR-001420), the National Heart, Lung, and Blood Institute at the National Institutes of Health (Grants R01 HL071759). We thank the other investigators, staff, and participants of the MESA study for their valuable contributions. A full list of participating MESA investigators and institutions can be found at http://www.mesa-nhlbi.org. The authors are grateful for discussions and feedback provided by Mr Peter Lekkas. IS initiated the idea for the research, designed the agent-based model, wrote and executed the code, prepared the graphics output, wrote the first draft of the manuscript, and critically revised subsequent versions of the paper. YY, BAL, JP, KLN, and AVDR contributed to the conceptualization of the model, helped with methodological interpretations, gave critical feedback, and provided revisions to the manuscript.